Let’s start with this question. What is cart abandonment? When shoppers come to a shopping site, select items and add it to their online shopping carts, but then leave before completing the purchase, this conveys as cart abandonment. This situation is obviously taken as a big loss for the business. According to reports by Baymard Institute, a high percent of digital transactions, 68.6% worldwide, are dumped before a purchase is completed. After all the hard work you have gone through to create a stunning website, and to make customers come to your site, seeing an abandoned cart would for sure be heartbreaking. But I would tell you, it’s not the end of the world, for this is a great way to make more sales. Shopping cart abandonment cannot be avoided, but they sure aren’t a permanent loss of your customers. So first, let’s see why cart abandonments occur in the first place. 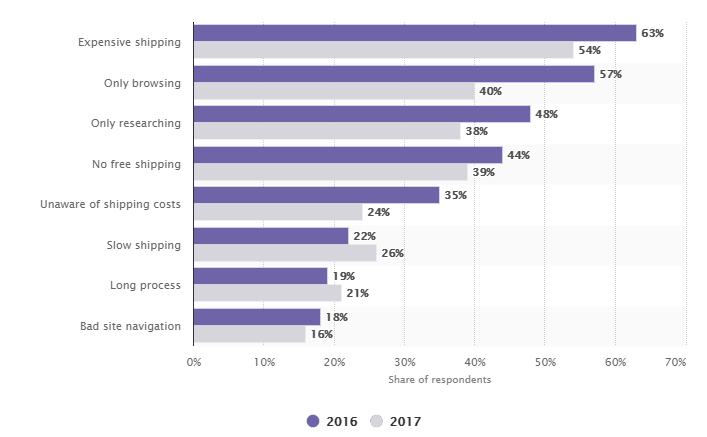 According to a recent survey, these are the following reasons why customers abandon their shopping cart, with 54 percent of respondents stating their reason as cost of shipping. Let’s first focus on a few of the most likely reasons why customers abandon their cart. It is pretty evident from the above graph that shipment related reasons contribute substantially towards card abandonment. According to VWO, 61% of users abandon their purchase when they see that the shipping charges on your site are too high. So always make sure that, if your business allows, to provide free shipping. At times, there will be users who add products to their cart with very low intention to buy them and thus abandon the cart. Such users can be targeted by offering them limited time deals/ . People always look for the best deal possible while shopping. So, they are likely to do a lot more research on different shopping sites. These shoppers keep open different shopping sites, including yours and then add their items. The next step is to compare the total cost in all the sites. The site offering the best rates wins the sale. In order to avoid this, make sure you offer better deals and guarantees. Cart Abandonment Reports help you discover how many customers have abandoned their cart on your shopping site by recording when people abandon their carts. When a shopper logs into your site or enter their contact details during the checkout process but then dumps the cart, an email can be sent inviting them to complete checkout. In a research campaign conducted by Marketing Sherpa, reports showed that around 70% of customers found recovery emails helpful and that it influenced them in finalizing their purchase. Setup personalized emails to send to the customer when they don’t complete their purchase which will give them a sense of value and make them want to return to your site. Adding images of the product that the shopper had left in the cart will also help the shopper to make decisions and make the email look “alive”. A majority of shoppers, shop through their mobile phones or tablets. Thus, a high per cent of cart abandonments occur on mobile apps. Retarget such customers with a cart abandonment notification. These notifications help in grabbing the shopper’s attention quicker than emails and direct them to the checkout to make their purchase. Retargeting empowers you to serve promotions just to shoppers who have already connected with your brand online. Retargeted ads are very compelling at all phases of the purchase funnel. Also, effective retargeting strategies may consolidate various types of retargeting. The time after a buyer dumps their cart is a specially critical time to execute retargeting as these clients are likely to be on the edge of making a buy. So, giving reminders to shoppers based on the products that they have added to the cart, will entice them to make the purchase. 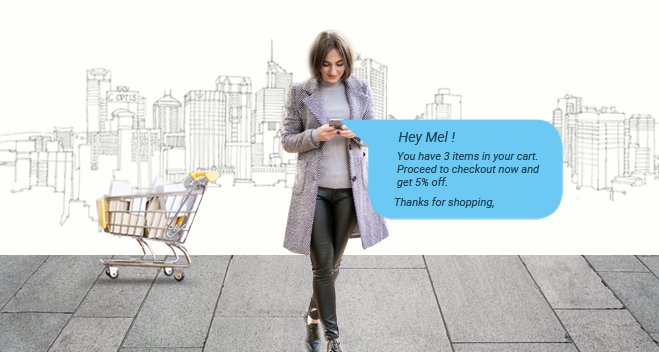 Sending SMS notifications with discounts to the shopper who abandoned their carts is an easy way to bring them back. Shopping cart abandonment is just a trigger to a kickass adventure of sales, conversions and higher income. You just got to know where to make your changes and bam! You will be off to make some amazing customers in a short time. 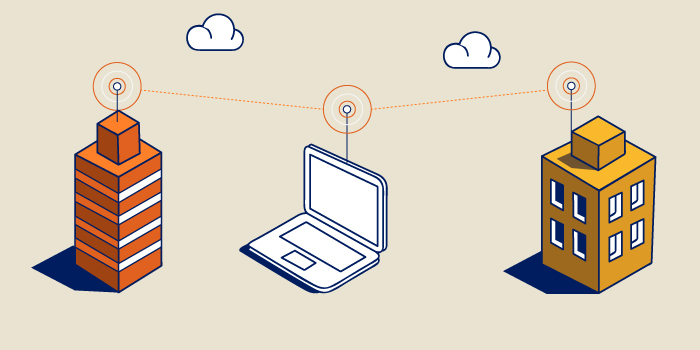 Want to know how Oorjit can help you set up a cart abandonment report facility on your site? Mail us at: [email protected] and we will get back to you!